I recently moved the French baker's shelves to the parlor and reorganized the shelves. It is always fun to accessorize the shelves. 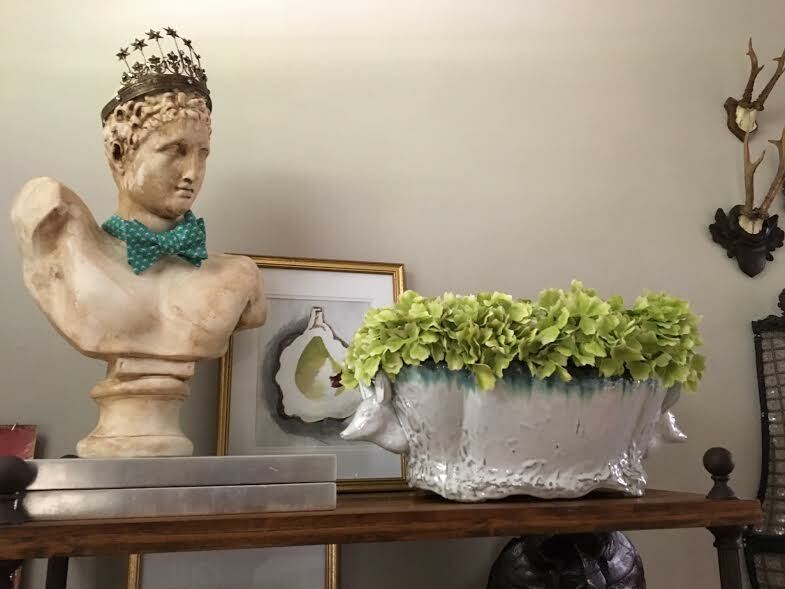 The top shelf holds a Hermes bust with one of my own NOLA Couture bow ties. He wears a vintage crown. 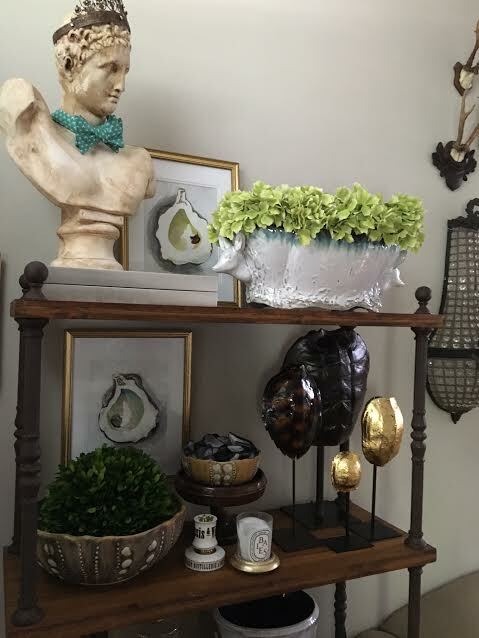 A container from Kiss That Frog studio available at Hazelnut is filled with faux green hydrangeas. 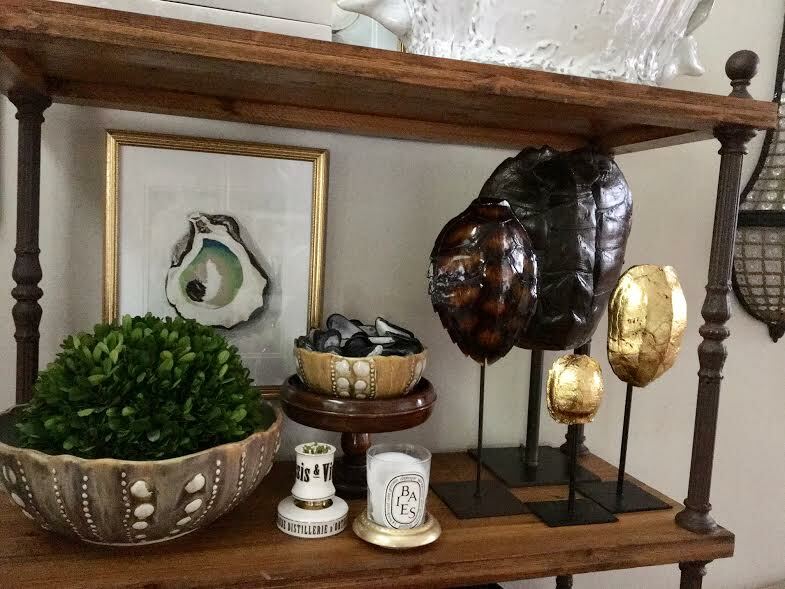 The framed oyster art is by a blogger friend Tery Hodges. Her etsy shop is Lure Coastal Designs. The second shelf hold two sea urchin bowls by my favorite Alison Evans also available through Hazelnut on Magazine Street. A collection of turtle shells (one converted into a lamp) were all purchased through the Timothy De Clue Collection in Seattle. A Baies Diptyque candle always created just the perfect scent. The third shelf holds a wooden box filled with heirloom silverware. 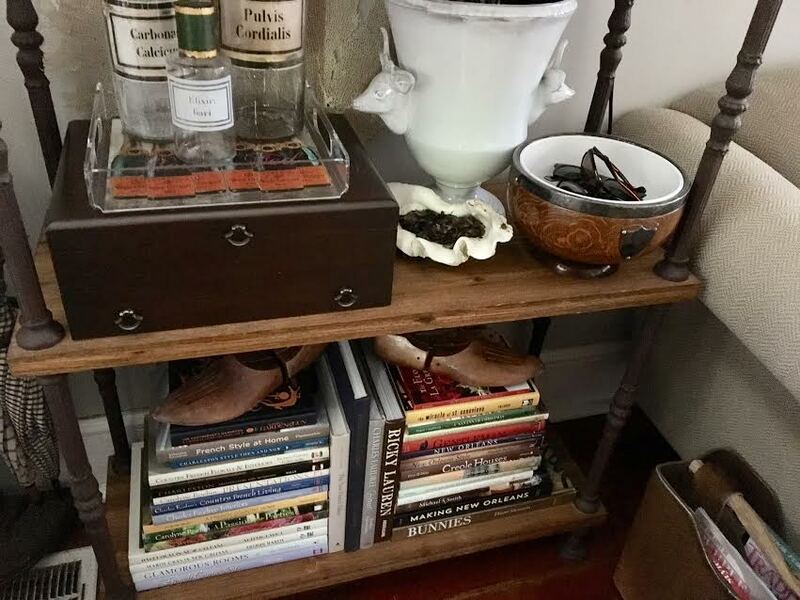 An Ashley Longshore "Bottle Fed" tray corrals vintage apothecary jars from Shaun Smith Home. 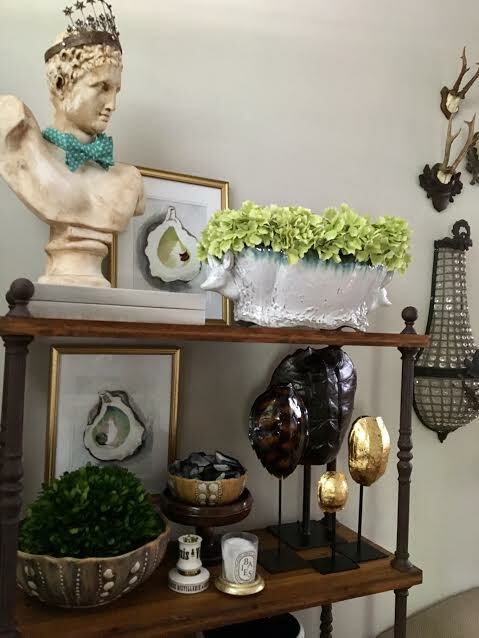 Another Kiss That Frog stag urn and vintage English oak bowl holding sunglasses sit on the shelf. The lowest shelf holds a collection of coffee table books. Liz- that is a work in progress. The oyster mirror has been moved in its place. Thanks. I need two of those for my living room! Love how you styled each shelf! I purchased this one from Ballard Designs, but I do not see if available any more online. Hmmmmm? 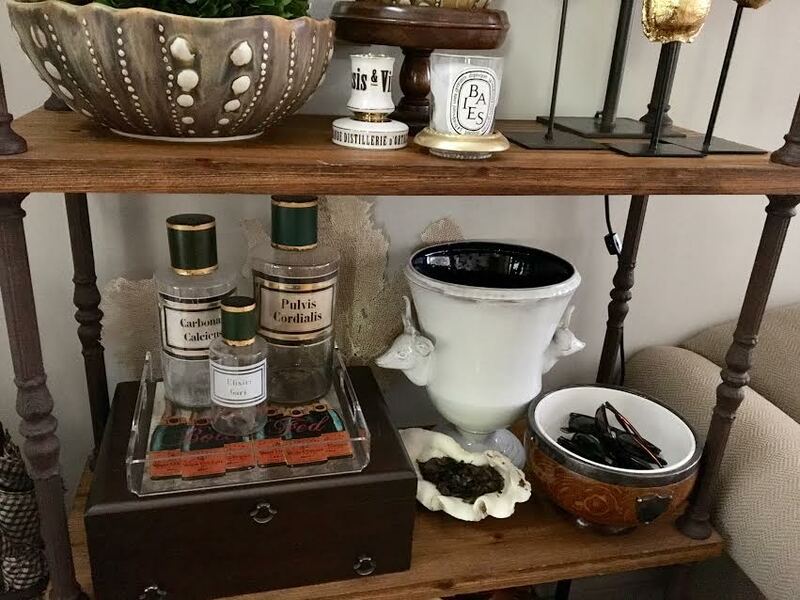 French baker's shelves are perfect for displaying all sorts of goodies. The Hermes bust presides over all the pretty artwork, pottery, glassware, antique silver, and books. Love the turtle shells. A little bit of each: classy, cheeky and 'funk'tional. I love it all.